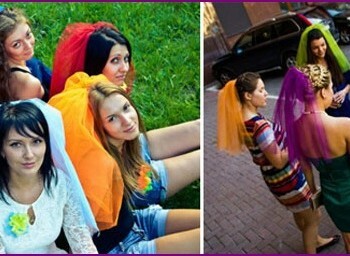 You are planning a wedding in the winter? 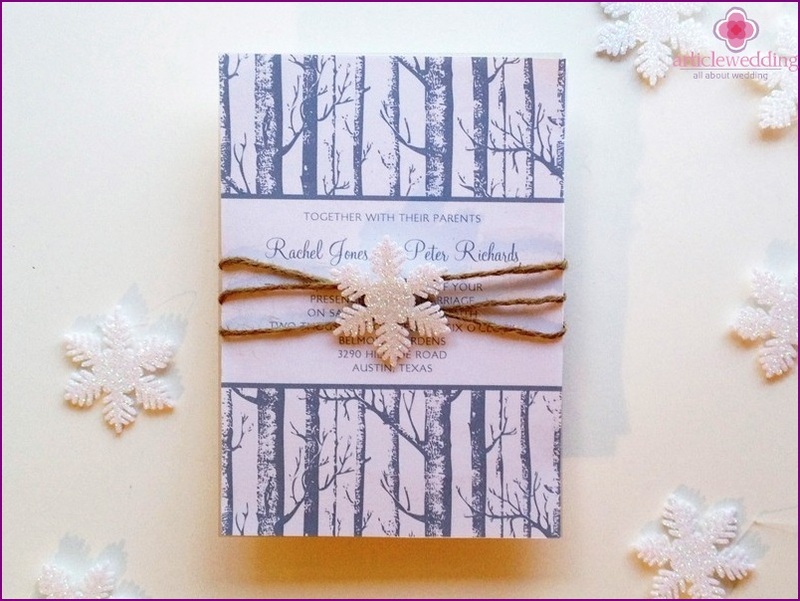 The tone of winter fun can ask interesting, handcrafted invitations! 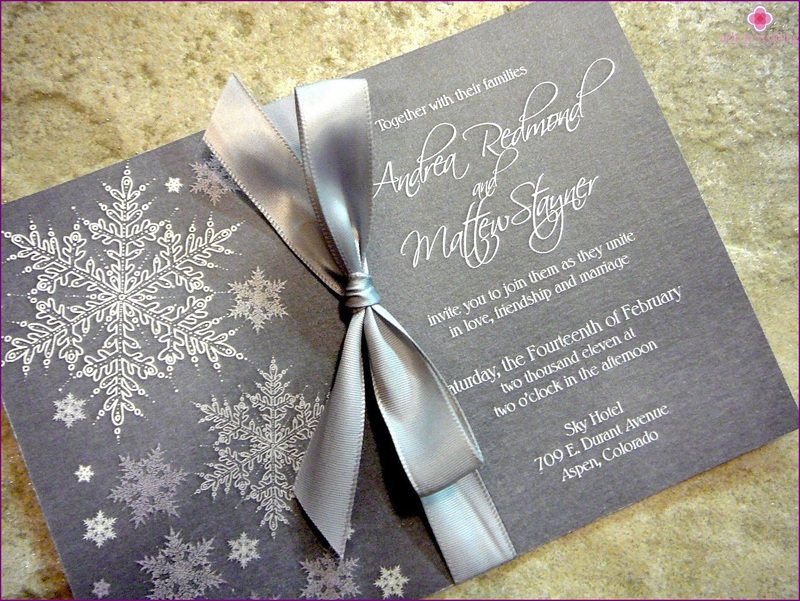 Today our www.articlewedding.com site to share with you a few ideas on how you can make a stylish invitation for a winter wedding! Graceful branches of the trees have lost their leaves, fallsnowflakes, late winter crocuses, snow-covered gate - there is virtually no restrictions, you can use any graphics scenes. Just because you are preparing an invitation to a winter wedding, does not mean that you should avoid the flower. 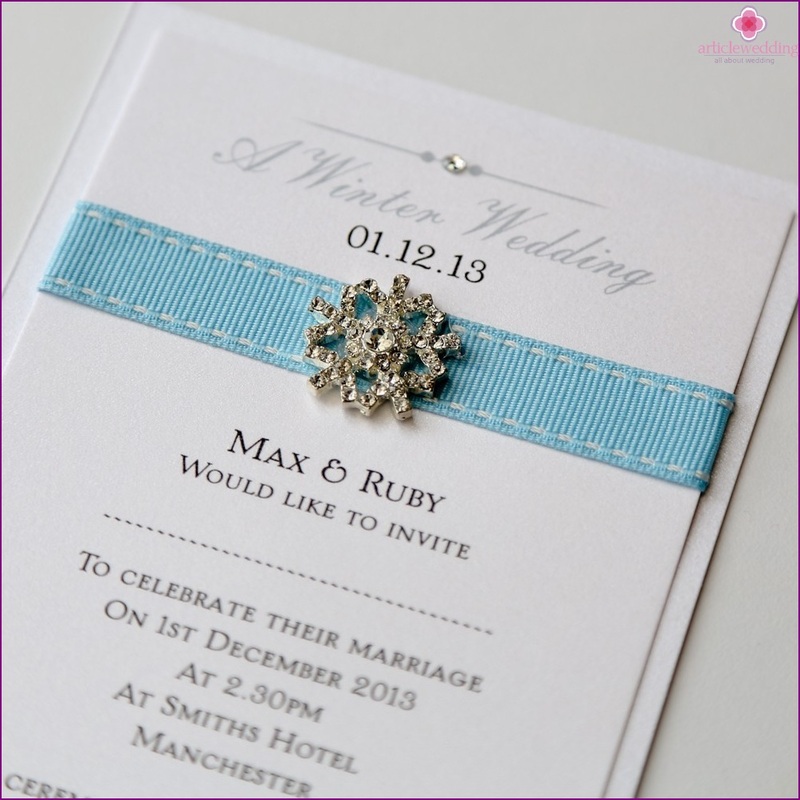 It is best at such wedding invitations will look white roses, lilies and amaryllis. 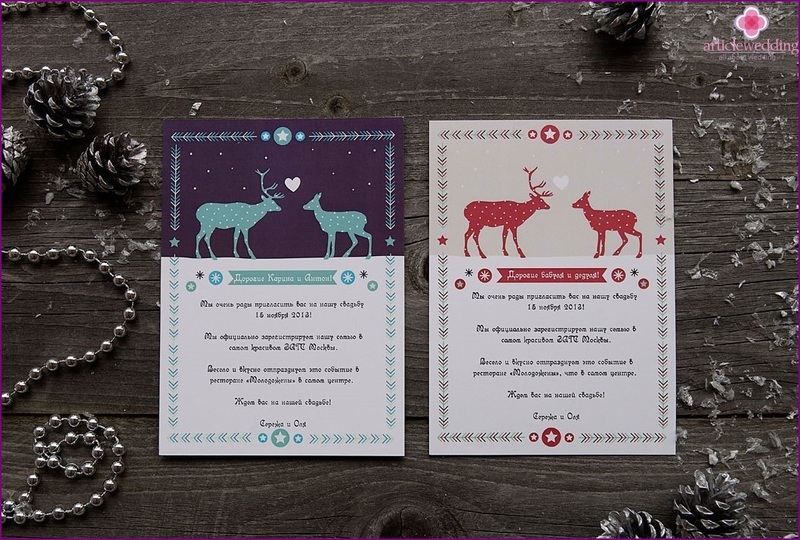 If your wedding date close to the time of New Year and Christmas holidays, on the invitation You can place painted candy, Christmas trees, decorations, stars. This will prepare guests for the atmosphere and the mood of celebration. 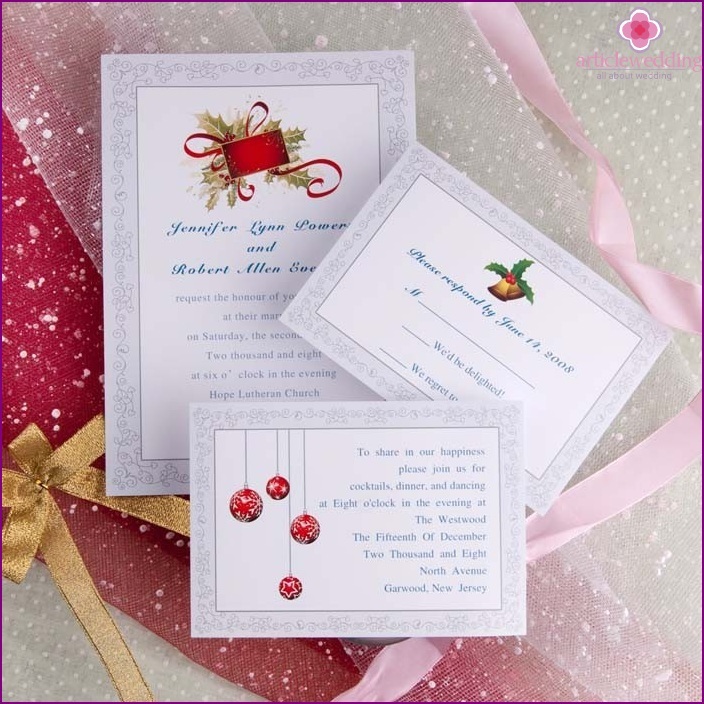 Your invitations should not be limitedtraditional Christmas and New Year's colors - red and green. Note the cold blue and blue, immaculate white, warm, deep shades of burgundy, silver and gold. They help to create a feeling among the guests a warm holiday amidst the cold snowy winter. 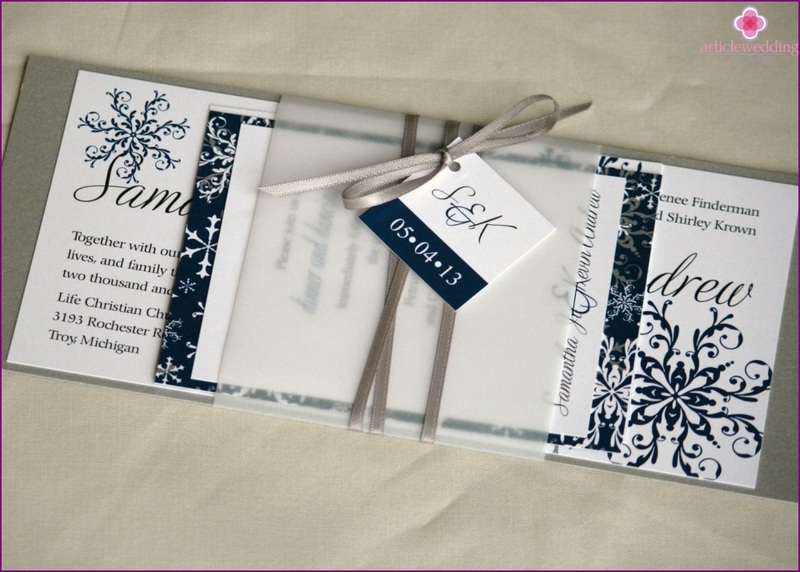 The white paper, symbolizing the snow, it is a goodbasis for your invitation. Its surface can be decorated with silver or gold rare sparkles, sequins can be thickly applied to the blank edge. They will give a glimmer of invitation mystery and romanticism. 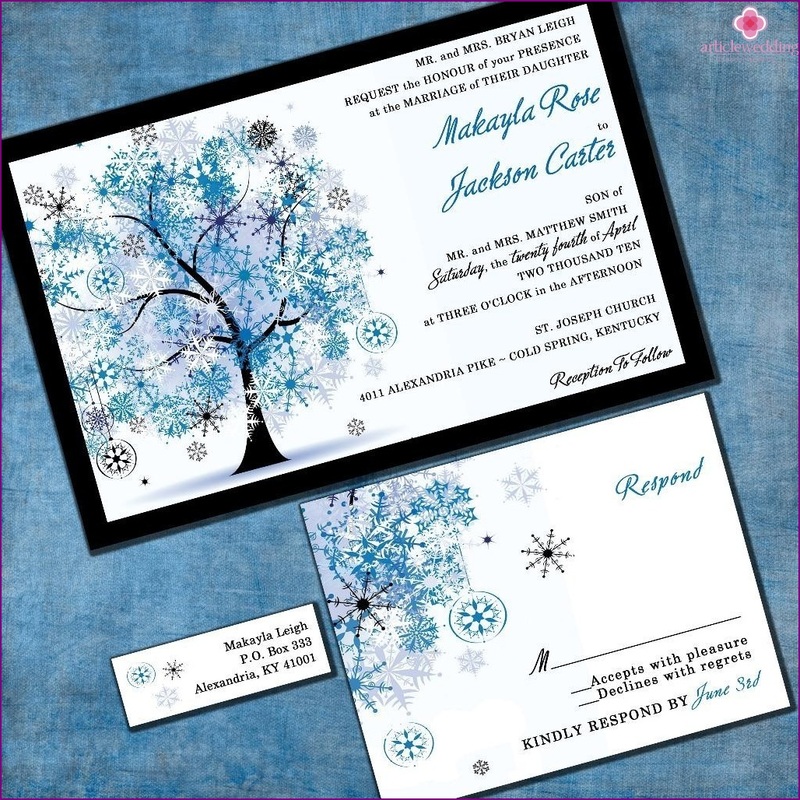 It would be great if you do not regret money for a design embossed on it stars, snowflakes and fir paws. 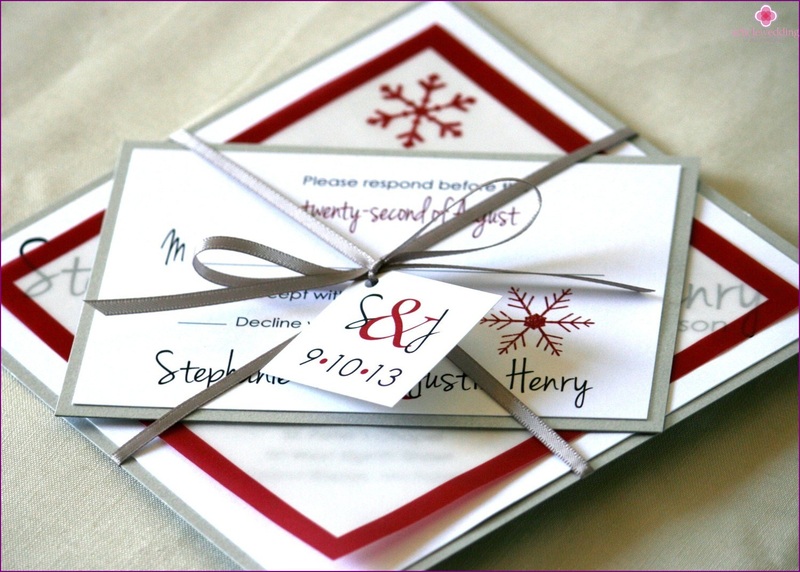 The form of invitation to the winter wedding -space for your imagination. 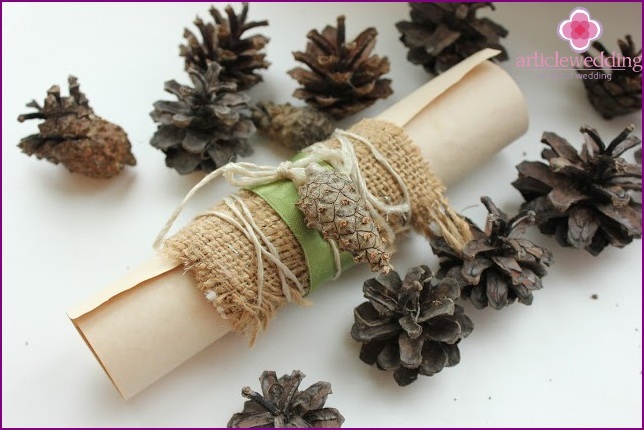 You can order a traditional paper invitations and decorate them with ribbon brooch, snowflake, and can be done in the form of a scroll invitations, decorated with burlap, pine cones, and others. 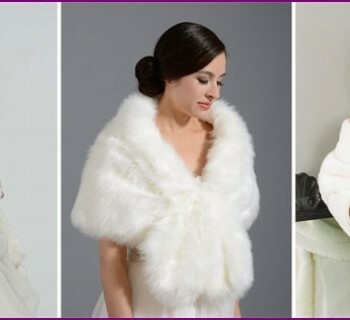 So, winter wedding - that's no reason to be upset, and the triumph of reason to make an unusual and romantic! And you can start with the invitations.